Note: Article updated in August of 2018 to include new video game titles. The new year is nearly upon us and 2018 is shaping up to have some incredible video game releases. If you’re looking to enjoy some video games with deep narrative journeys then we have you covered. In this list we’re going over all the of best upcoming video games that are sure to entertain players through the narrative alone. Take a look at our picks down below and be sure to let us know if we missed a title that should be included in the list below! Dontnod Entertainment has crafted up some popular titles so far. Their debut title Remember Me sparked the highly beloved Life is Strange IP. Following up the release of Life is Strange is Vampyr, a vastly different IP then what the developers have worked. 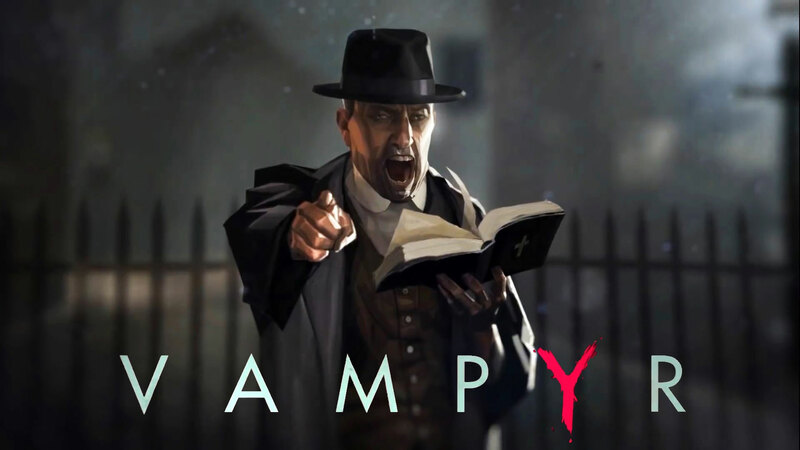 Vampyr takes place during the 1918 Spanish flu pandemic in London where players take the role of a doctor Jonathan Reid. Our protagonist is in a predicament as he is a vampire with a bloodthirsty nature, but is battling his condition with his Hippocratic Oath. Being an action role-playing title, players can traverse parts of the world while also leveling up Jonathan in order to unlock new abilities and skills through the skill tree. But being a Dontnod Entertainment video game you can expect a strong narrative journey with some tough choices you’ll have to make along the way. What can we say about God of War that you probably are not already fully aware of? The video game franchise got its start back in the days of the PlayStation 2 and is still going strong today. However, this title, in particular, is more of a soft reboot to the franchise. If you’re familiar with the past installments, this time around Kratos has ended his time with Greek mythology and has moved onto Norse mythology. Likewise, Kratos will not be alone anymore as he will be looking over his son named Atreus, preparing him for the real world after the recent passing of his mother. Adding a son to the mix and an older Kratos will certainly change some aspects that we’re familiar with in the God of War franchise. Kratos will have to control his rage while he teaches his son vital life lessons. Set in Detroit, Michigan, and developed by Quantic Dream, gamers who enjoy choice-driven narratives will want to keep tabs on Detroit: Become Human. This is a futuristic neo-noir thriller that’s based off an old 2012 tech demo from Quantic Dream that became viral online. Players will take control of three different characters, all of which are androids. You will have Kara, a female android that has escaped the factory from where she was made. There’s also Connor, who is a male android that is tasked with hunting down deviant androids. Lastly, there is Markus, another male android who has begun an android revolution against the human race. This video game is all about choices and it certainly seems that there will be a ton of them to choose through within the story. In fact, there are so many choices that each will alter the narrative storyline and can have grave consequences with your characters. Because of the amount of choices players can make we imagine that there will be plenty of replay value in this title. In The Valley of Gods is another title we’re thrilled to see release. The video game is coming from developers Campo Santo who previously launched their debut title, Firewatch. Much like Firewatch, In The Valley of Gods is said to be an adventure title, though this time players will step into the role of Rashida, an explorer who was disgraced. Set on to uncover a new adventure filled with fame and fortune, Rashida seeks out a new incredible archaeological discovery within Egypt. Developers are promising a thrilling first-person adventure filled with exploration, though it’s unknown just when the game will launch. Similar to Firewatch, we can expect In The Valley of Gods to be a narrative journey for players to enjoy and depending on if you enjoyed Firewatch, In The Valley of Gods may become a pass if the gameplay ends up being more of a walking simulator narrative storyline. While we’re hoping a launch this year, In The Valley of Gods may not make it until 2019. Regardless, we’ll be keeping our eyes out for new information and the system requirements required to run this game. For those familiar with the Yakuza series, the seventh main installment of the series is slated to launch worldwide in April of this year. Of course, if you’re unfamiliar with the series, you may want to go back and play through some of the past installments as Yakuza 6: The Song of Life picks up the story from the previous game. The game has already released in Japan where it has received a positive reception. Gamers can still expect a brawler type gameplay set in an open world environment. Players will also step into the shoes of Kazuma Kiryu once again who is on a mission to learn what has happened to Haruka after being locked away for three years. Likewise, the game series of Yakuza is a rather long narrative journey as a whole making this another chapter for fans to go through. Yakuza 5, the predecessor to Yakuza 6: The Song Life, took gamers an average of forty hours to complete the main campaign story and as such we’re expecting around the same length for this upcoming installment. When Tomb Raider received its big reboot back in 2013, the series received a massive revival with new and veteran players enjoying the latest big adventure featuring Lara Croft. In 2015, a sequel to Tomb Raider landed into the market and much like the reboot, Rise of the Tomb Raider was a big hit. Now gamers are waiting for the next big release known as Shadow of the Tomb Raider. Within the upcoming installment, players will find Lara Croft will pick things back up after the events of Rise of the Tomb Raider. So far we know that the game will follow Lara as she attempts to stop a Mayan apocalypse though the antagonist organization Trinity believes they can wield the power in order to reshape the world. Much like the previous installments as well, Lara will have to use not only stealth but force as she battles against Trinity’s guards. There is of course wildlife lurking within the jungles, puzzles to solve and resources to gather in order to craft previous materials. We also expect a deep narrative much like the previous two installments. Being that this seems to be a video game with a bit more dark undertone it will be interesting to see how Lara is affected by the end of her journey. Assassin’s Creed will have a new installment this year with Assassin’s Creed Odyssey. The video game is set in 431 BCE where players will have the choice of being a mercenary that fights for Athens and the Delian League or the Peloponnesian League led by Sparta. Either way, players will be a descendant of Spartan King Leonidas I during the Peloponnesian War. Much like the previous Assassin’s Creed installments, Assassin’s Creed Odyssey will feature a modern day protagonist as well. Ubisoft will be reintroducing players to Layla Hassan who was present during Assassin’s Creed Origins. Developers over at Ubisoft seems to also be working more on an RPG progressive system in this upcoming title which ranges from dialogue choices to a skill tree that can help in aspects such as stealth and combat. Likewise, due to the fact that players will have choices when it comes to the dialogue the story narrative is capable of changing. As a result, Ubisoft has incorporated multiple endings giving players an incentive in going back to replay the game. If you enjoy the Yakuza series then you may have picked up Yakuza Kiwami. The game was a remake of the original Yakuza title and this year we’re going to be receiving yet another remake. Yakuza Kiwami 2 is the remake of 2006 release, Yakuza 2. Outside of the visual upgrades, the upcoming remake also includes a new storyline that unveils the history of Majima leaving the Tojo Clan. Speaking of storylines, the Yakuza series does give plenty of narrative to go through. We wouldn’t suggest jumping right into the story of Yakuza Kiwami 2 unless you look into the narrative outline for Yakuza Kiwami, but the narrative from the first title is relatively easy to pick up. Currently, Yakuza Kiwami 2 is slated to launch within August of this year exclusively for the PlayStation 4. Media seems to love to tap into the Lovecraft material with Call of Cthulhu being one of the more popular stories to adapt. We’ve also seen other titles in the past release featuring the storyline, but currently we’re looking at Call of Cthulhu: The Official Video Game from development team, Cyanide Studio. Players will be taking the role of Edward Pierce, a former war veteran, and private investigator. Edward finds himself taking on an investigative case where he will attempt to clear up the murder of Sara Hawkins that occurred in Darkwater Island. So far we know that the game narrative will be centered around the various choices made throughout your journey. Likewise, in this investigative RPG, players will be leading a small team of investigators outside of Edward where they’ll come across monstrosities that have been hidden in the dark. Being that this is a Lovecraft narrative, you may find it to be a bit scary and its certainly not a game aimed at a younger audience. If you enjoy horror titles that have a story journey attached to it then we recommend picking up Call of Cthulhu: The Official Video Game when it releases later this year. Telltale Games has really become a leading development studio over the years thanks to the careful story narrative they take players through. Each IP is handled delicately and delivers fans a unique look at some of their favorite franchises such as The Walking Dead. We’ve been following this narrative journey since it first released in 2012 and now we’re gearing up for its final season. The Walking Dead has mainly followed a young girl who was raised and adapted to a world filled with chaos and fleshing eating monsters. It’s hard not to love Clementine and cheer for not only her survival but happiness in this world as she overcomes the odds with each season that releases. This upcoming installment is coming out with its first episode on August 14, 2018, for the PlayStation 4, Xbox One, Nintendo Switch and PC platforms. Much like the past stories, this season will follow Clementine and will be concluding her story. Currently, we know that the game will take place years after the events that followed The Walking Dead: A New Frontier. The Walking Dead: The Final Season only has one episode scheduled to release this year so we’re unsure if we’ll see all of the episodes come out prior to 2019 but at the very least, you’ll get to start the narrative adventure in August of this year. Life is Strange was a massive hit release for developers Dontnod Entertainment. Players embarked on a personal and deeply emotional journey as they stepped into the shoes of a young high school student named Max. Without going too much into detail about the first game, Max finds out she has a supernatural ability that allows her to stop and rewind time. With this new power, Max and her best friend Chloe begins to dig up old town secrets while the overall gameplay narrative is shaped from the choices you make along the way. We’ve been waiting for a sequel to the franchise and while it’s not a direct sequel to the first installment, Dontnod Entertainment is bringing on a brand new story set within the same world. The developers have been very secretive about this upcoming title but the hype and expectations for a great game are already set pretty high. With that said, the development studio did release a standalone free video game called The Awesome Adventures of Captain Spirit which gives players a small glimpse into Life is Strange 2 and supposedly a few characters as well. Just what characters are making a bigger appearance in Life is Strange 2 remains to be seen. Regardless, the narrative journey still seems to hold a supernatural element for the upcoming installment. Also, Dontnod Entertainment seems to take great care in regards to their script and storyline they take players through. Choices and consequences are likely also something that Life is Strange 2 will feature rather heavily.